A Pot of Gold Waiting For The Consumer at the End of the Meerkat Rainbow – Tasting the Burrow Blend 2016… One of the Best Value Reds On the Market. With the ongoing drive towards premiumisation of wine, it becomes harder and harder to find great value, authentic, high quality, unadulterated wine expressions. So the market almost relies indirectly on the “philanthropy” of people and producers like Schalk Burger Snr. 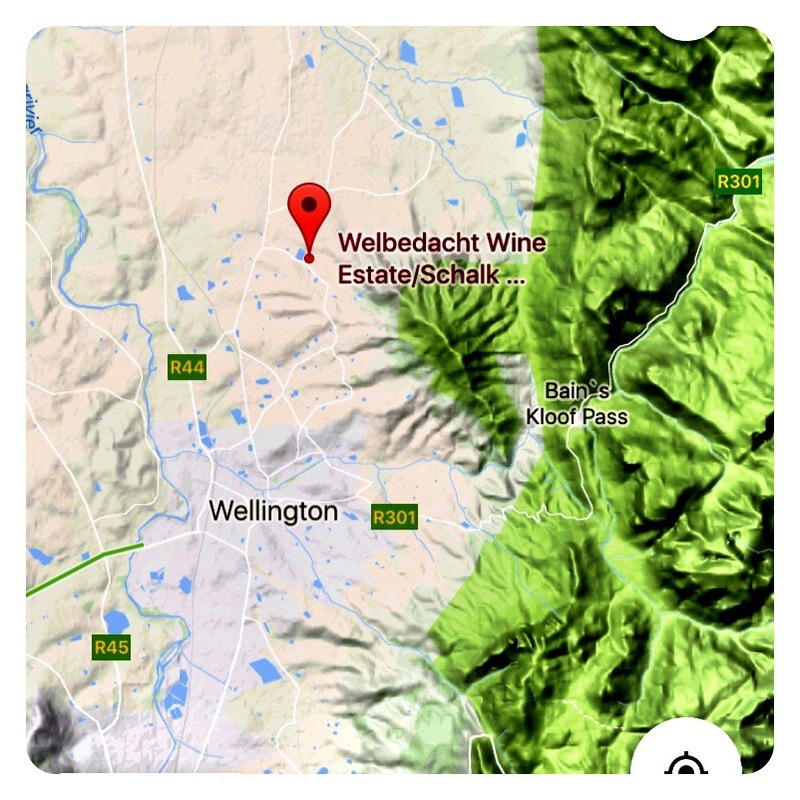 With expansive old vine vineyards, the Welbedacht Estate has been the envy of the Cape wine scene for not only growing a plethora of diverse grape varieties but also by being able to produce good volumes of high quality premium wine. The Meerkat Pinotage is already a legendary wine having featured on the Nederburg Auction in the past. 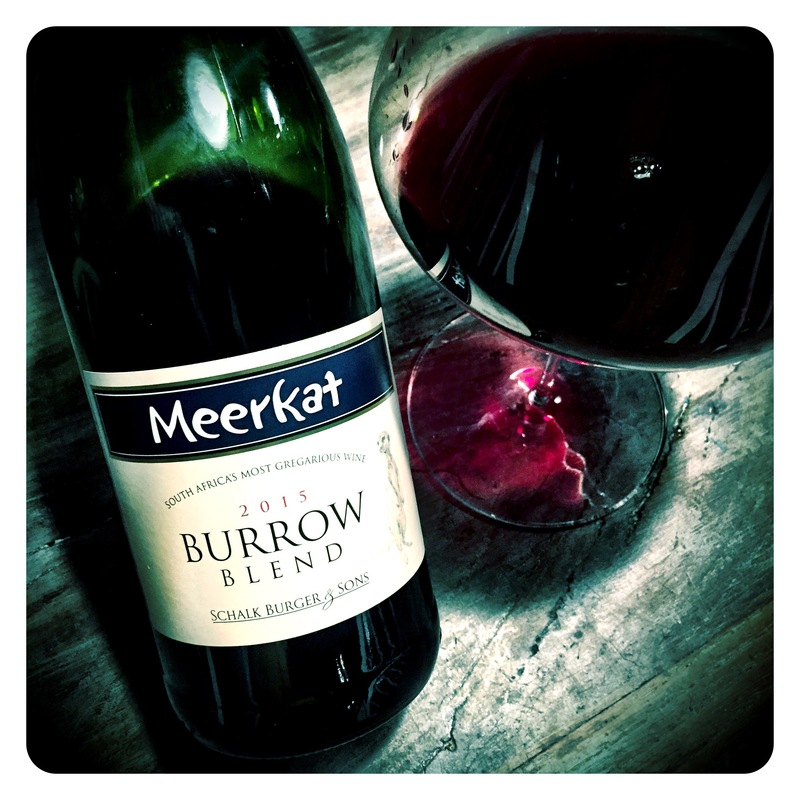 But I was impressed to hear that the Meerkat Burrow Blend has now become one of their biggest selling wines in the range. But I guess wine consumers know a good thing when they taste it! Schalk Burger & Sons Meerkat Burrow Blend 2016, WO Wellington, 13.5 Abv. I recently caught up with Swartland rock star wine couple Chris and Andrea Mullineux at their Roundstone farm to taste their new Leeu Passant releases. Of all the new wine brands released on to the South African and international wine market of late, few have generated as much discussion and debate as the Leeu Passant Dry Cape Red. Too much of this discussion has perhaps superficially centred around the wine’s ultra premium pricing of £95-£100 per bottle and whether this pricing is merited instead of around the wine’s exceptional quality, its old vine fruit sources and it’s philosophical interpretation of a wine style synonymous with the early years of the 20th century Cape wine industry. But new innovative wines that push the boundaries usually make easy targets for wine trade sceptics. It is without doubt the success of wines like this that will open new doors and pathways to financial viability and success for the whole of the South African wine industry. In the meantime, indulge yourself and savour some true precision winemaking with the Leeu Passant Dry Red. Leeu Passant Dry Red Wines 2016, WO Western Cape, 14 Abv. A blend of 36% Cabernet Sauvignon, 33% Cabernet Franc and 31% Cinsault using 100% whole bunch for the Cabernet Franc and Cinsault portions. 100% new oak was used for the Cabernet Franc fermentation. Lifted and aromatic, this wine initially displays a pronounced sweet leaf, red currant, cedar and red berry fruit character. Intensely focused concentration from low yields and super small berries in 2016 makes for a wine brimming with overt notes of earl grey tea, bergamot spice, pithy citrus peel, spicy red bramble berries and a broody, earthy red currant depth. A fine wine with ample structure and seriousness, impressive minerality, precision and power. This red will certainly be a great keeper that’s destined for many a collectors’ cellar. Hats off to Chris and Andrea Mullineux for succeeding in creating yet another collectable vinous gem in only year two of this new project. Drink on release if you are flamboyant, drink after 10 years if you are patient, and drink after 30+ if you are youthful and have time on your side. The extensive Bosman Family vineyard holdings are based primarily in the Wellington region although a new winery in the Hemel-en-Aarde Valley near Hermanus was added to the portfolio in the last few years. As well as owning large swathes of vineyards, the Bosman Family are also one of the leading nurseries for vine rootstocks in South Africa. Under the lead of head winemaker Corlea Fourie, they make some fantastic white and red wines. Jannie Bosman (snr) planted these vines back in 1994, seeing the exceptional quality of the one year old vines being classed and graded in their vine nursery. Since then, many Top 10 Pinotages have been produced from this vineyard. Bosman Family Vineyards Pinotage 2014, WO Wellington, 13.5 Abv. Wonderfully exotic nose brimming with parma violets, marzipan, brûléed red berries, espresso and pomegranate. The palate is impressively detailed and elegant with a vibrant core of freshness, delicious chocolate raspberry nuances, cherry liquor and pithy blood orange sweetness. Lovely to see how the lower alcohol level and reined in ripeness allows this wine to express all its true Pinotage characteristics while retaining impressive elegance and textural finesse. A smart wine indeed. But two whites that really stand out head and shoulders above the rest of the wines in their range are the Fides Grenache Blanc and the Optenhorst Single Vineyard Chenin Blanc. The Fides was first produced in 2013 as a ‘project of passion’ for Corlea who is certainly regarded as one of the most talented and precise winemakers in South Africa. This wild ferment skin contact Grenache Blanc has certainly allowed Corlea to ‘let her hair down’ and experiment with her ‘wild side’. The second wine of note is the Optenhorst Single Vineyard Chenin Blanc from bush vines planted in 1952. In 2010 the Chenin Blanc Association funded research into the old vineyards of the Cape and it turned out that this was the 4th oldest registered Chenin Blanc vineyard in South Africa. Bosman Fides 2016 Grenache Blanc, WO Wellington, 14 Abv. Bosman Optenhorst Single Vineyard Chenin Blanc 2015, WO Wellington, 14.04 Abv. One thing having large vineyard holdings affords you is fruit selection. The Schalk Burger & Sons Welbedacht farm in Wellington in the Western Cape is a classic example of this. 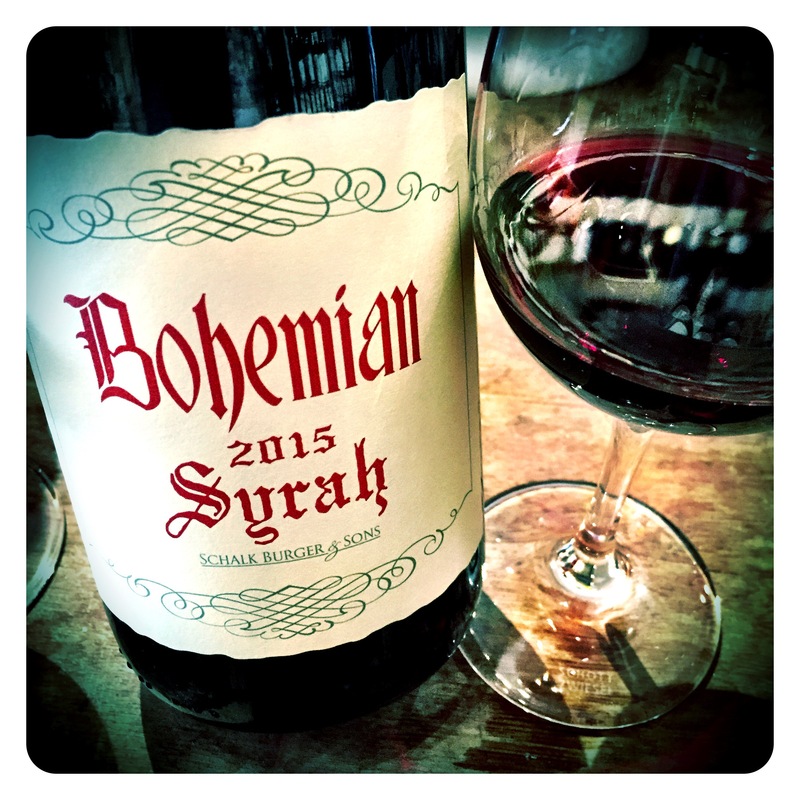 I’ve always enjoyed the premium wines of Schalk Burger Snr, especially the Cricket Pitch red blend and the Bohemian Syrah. 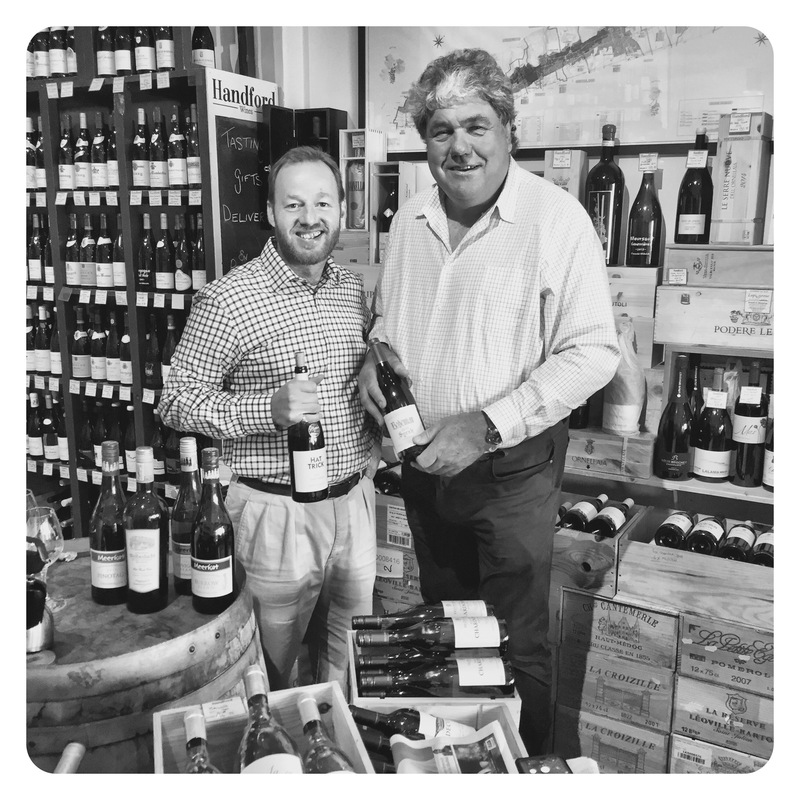 But tasting today with Schalk Burger Snr and his UK shipper, it was the modest £9.99 Meerkat Burrow Blend 2015 that came up trumps. Other than Schalk fulfilling his long term ambition to include the word “Gregarious” on the front label, he has also succeeded in creating an exceptionally delicious, quality focused, unpretentious red. I can often be heard complaining that South Africa does not have quite enough value reds of high quality that are suitably priced or positioned for independent merchants. But this is a very impressive creation that ticks so many boxes and keeps you coming back for another sip, and another! 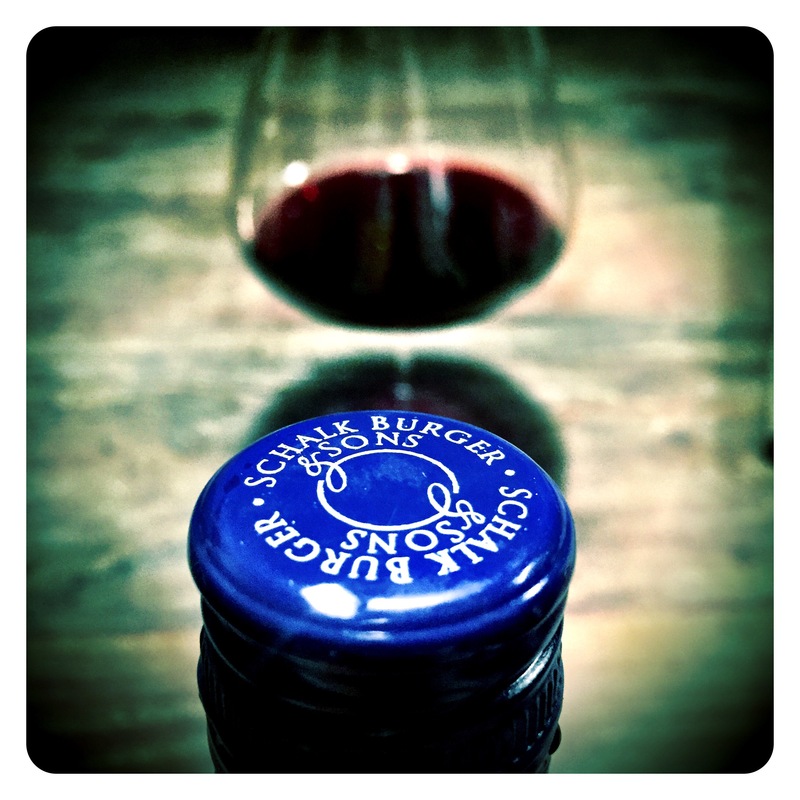 Schalk Burger & Sons Meerkat Burrow Red Blend 2015, Wellington, 14.5 Abv. The nose is seductively wild, with black forest berries, oodles of bramble berry spice, black currant compote, and a sweet, cedary, vanilla pod dusting. Key to the palate is its light weight opulence, succulent texture, fleshy breadth and a juicy long mulberry fruited finish. I can’t remember what grapes go into this blend, and I suspect it changes every year anyway, but the 2015 is thoroughly delicious and impressively well made. For me, 10/10 in the drinkability stakes, this is a perfect BBQ red that will add much cheer and enjoyment to any social occasion. There can be no doubting the pedigree of the Syrah fruit grown at the Welbedacht Estate in Wellington. Some of the best grapes have been siphoned off quietly for other “premium” WO Western Cape Syrah for years. 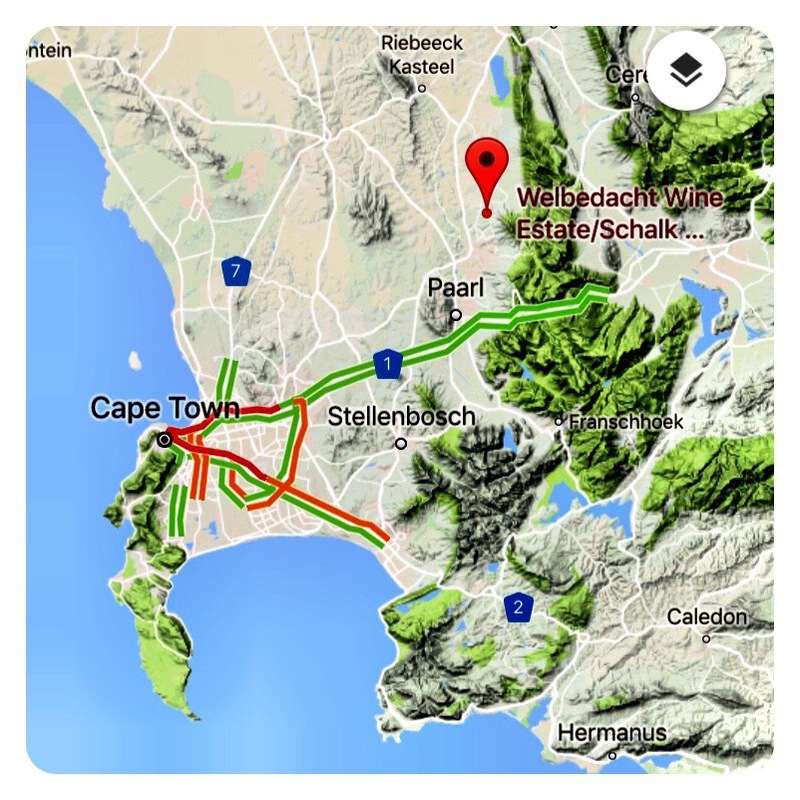 The large Welbedacht Estate (pronounced “well-be-duct”) is situated in one of the Cape’s most picturesque landscapes near Wellington, a warm climate region which seems ideally suited to the cultivation and production of world class Rhone varieties like Syrah. Welbedacht is also home to the Burger family, surely one of the country’s most recognised sporting names. Schalk Senior was a formidable Springbok rugby player back in his day (and his handshake still is), and son Schalk Junior has followed in his father’s size 14 footsteps representing South Africa multiple times as a Springbok and who is now playing out the twilight of his career at Saracens in the UK. Second son, Tiaan, hung up his provincial rugby boots a few years ago and now heads up the cellar’s marketing operations. In 1995, Schalk bought his first farm, Af-en-Toe, and started farming with 40 hectares of Cinsaut and Chenin Blanc. This was followed by the purchase of Welbedacht in 1997. Dating back to 1830s, it was a bit run down, but the water and the established old trees may have led to the decision to buy it. Welbedacht means “well thought out” in Dutch, and this is precisely how the Burger family approached the extensive restoration of this gracious property to its previous glory. 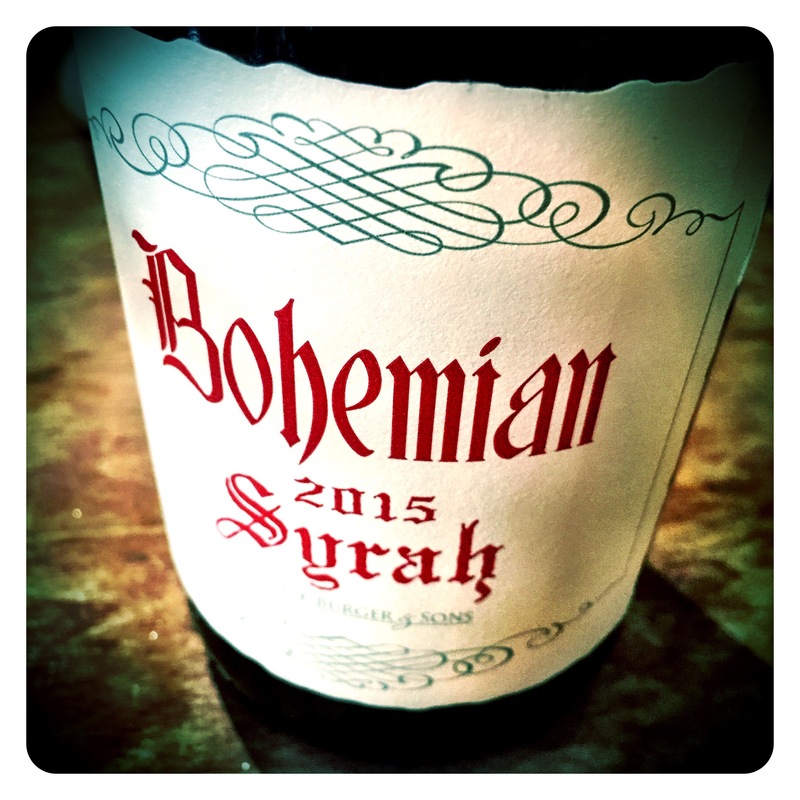 Schalk Burger & Sons Welbedacht Wine Estate Bohemian Syrah 2015, WO Wellington, 14.5 Abv. 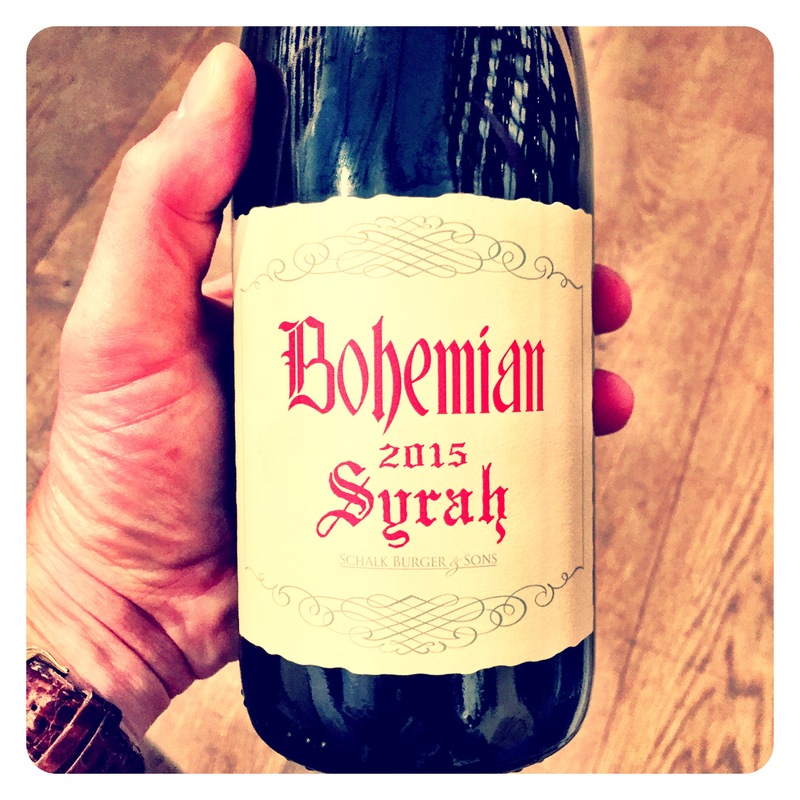 The 2015 Syrah is probably one of the best I have tried from the Estate. There is a seductively rich intense nose of blueberry crumble, ripe black berries, mulberries and an alluring lift of vanilla pod mixed with violets, cherry blossom and sweet oak spice. Despite the 14.5 Abv, this lush rich wine is light on its feet, vibrant and thoroughly vital, with lovely clean linear acids and powdery tannins that punctuate the palate texture perfectly. The nose continues to open up in the glass revealing subtle bruleed coffee bean notes, fynbos, savoury cured meats, sweet black peppercorns, and a ripe black cherry kirsch intensity on the finish. The wine is drinking so beautifully now it would be a shame to bury it away in the cellar. Opulent, expressively dark fruited, this delicious purity should be enjoyed now and over as many stages of development as possible. Drink now to 2028+.